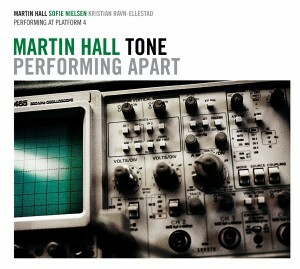 On February 1, 2012, Martin Hall and the Danish electronica artist Tone will be releasing a new album entitled Performing Apart. The record features their collaboration from the Apart Audio-Visual Festival at Platform 4, an arrangement where names such as Goodiepal, Jacob Kierkegaard and White Pony also performed. Performing Apart is a high quality event recording based on equal amounts of online-adaptation of original source material and live-performance. The sound quality is, as already stated, extraordinary good, and the material features both fragments from both artists’ former productions as well as a couple of new tracks. During the performance at Apart Audio-Visual Festival Kristian Ravn-Ellestad contributed with the visual part of the concert, something the new record obviously won’t feature. In return listeners will be able to enjoy a beautiful, well-balanced and fairly experimental concert performance. Tone (a.k.a. singer and musician Sofie Nielsen) has recently released her second studio album Hanging by the Moon, which has received a line of fine reviews in both Danish and international medias. Hall is currently working on new material. Performing Apart will be released by VME. 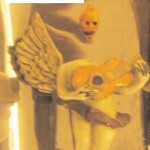 Information about purchase of the new album via this website will be available throughout January 2012. On Thursday the 1st of September New York-based label Minimal Wave issues a cd- and download-version of the album The Hidden Tapes. The title was released in May 2011 in a limited edition vinyl stock. The title features so-called “minimal wave”-material recorded between 1979 and 1985. Hall is represented with the SS-Say track Care. Read more about the release here or at the iTunes Preview. 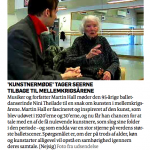 In DR-K’s new season of Kunstnermøder (the Danish pendant to the Sundance series “Iconoclasts”) the Danish television channel has asked Martin Hall which artist from his native country he would like to meet. He chose the currently 96 years old former ballet star Nini Theilade, who during the 1930’s enjoyed world star status on the international ballet scene. As one of her career highlights she performed in Max Reinhardt’s Hollywood production of A Midsummer Night’s Dream from 1935 (at the time she was 20 years old). The new edition of the Danish literature magazine Oeverste Kirurgiske (roughly translated “the top floor surgical department” – a name taken from the former residents on the adress) is now available (June 13). Martin Hall has contributed to the publication to with a writing called “Memoirs”. 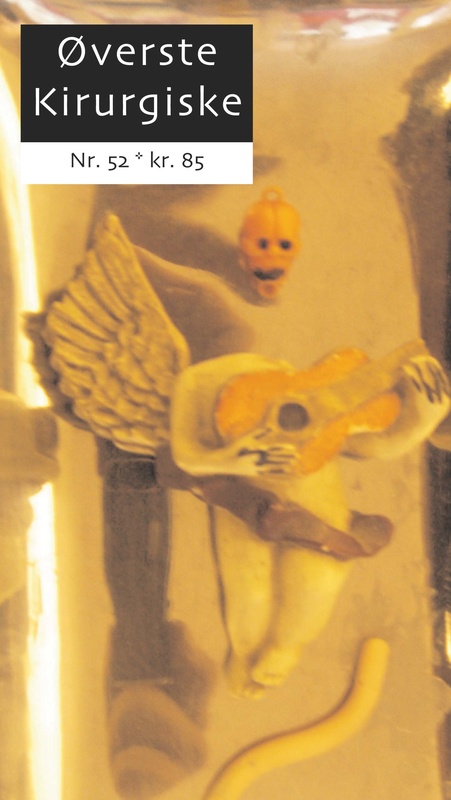 The 52nd edition of Oeverste Kirurgiske is a thematic issue about ”neo-baroque”. Among other contributors you’ll find writers such as Thomas Krogsbøl, Nikolaj Zeuthen, Jens Blendstrup, Martin Budtz, Sternber, Irmelin Henriette Prehn, Jeolytta Ming Wangsgaard and Grzegorz Wróblewski. The publication is only available in Danish. 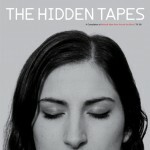 The New York-based label Minimal Wave has just released the vinyl and download album The Hidden Tapes (May 17, 2011). The lp is a compilation of vintage, so-called “minimal wave” tracks gathered from all around the world, recordings all made in the period 1979–1985. The Hidden Tapes features rare, unreleased as well as in general hard-to-get tracks from countries such as Japan, France and the former Yugoslavia. The sounds on the record range from raw proto-industrial to naive danceable Belgradian new wave, to filmic synthesizer music to more complex, vocal-driven melodic synthpop. As far as Martin Hall is concerned, he is represented with the 1985 classic SS-Say recording Care which opens the album. Other artists are Danton’s Voice, Oskarova Fobija, Pas De Deux, Kym Amps and Reservé. All tracks have been “lovingly remastered”. Limited edition of 999 numbered copies, pressed on 180 gram vinyl, and housed in heavy printed jacket accompanied by printed inner jacket with photos and info. 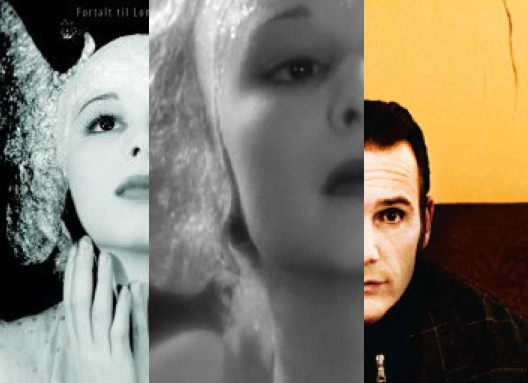 Sound samples of all tracks available on Minimal Wave. Cd-version available from September 1, 2011. 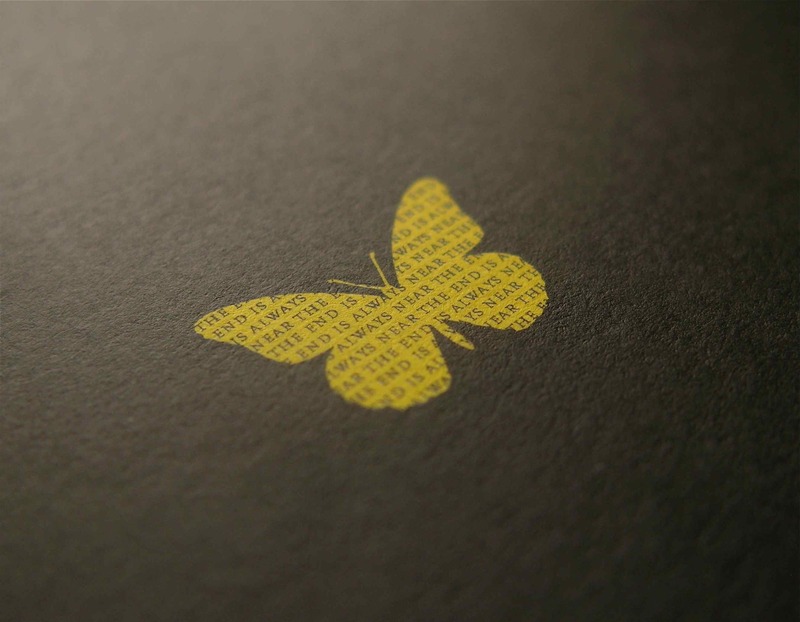 On Tuesday the 17th of May 2011 the Danish post-punk act Before’s legendary support concert for New Order will be released as cd and download. The recording was made exactly 30 years earlier – on May 17 1981 – when the British band gave their first Danish concert at Saltlageret. At this occasion Martin Hall played his last performance with Before after which he devoted himself to the work with his own band Ballet Mécanique. Before was formed in September 1980 by singer and figurehead Fritz ”Fatal” Bonfils and a back then 17 years old Martin Hall on guitar. Together with drummer Michael Rasmussen (later The Sandmen) and bassist Flemming Andersen (Art in Disorder) the group played its first concert in Rockmaskinen on Christiania in November the same year after which Lars Bo “Tolle” Tolstoy Jacobsen undertook the task of playing bass. More than a year after Hall’s exit from the group Before released the debut album A Wish of Life in 1982. Before’s support act for New Order represents a landmark in Danish post-punk history. One ting is the band’s interesting line-up at the time, but obviously far more relevant is the outstanding musical performance on the night itself. This is the sound of a far more brutal band than the one you hear on the later debut album – at the New Order support gig you’ll witness a sonic savagery never really captured on any of the group’s following studio recordings. 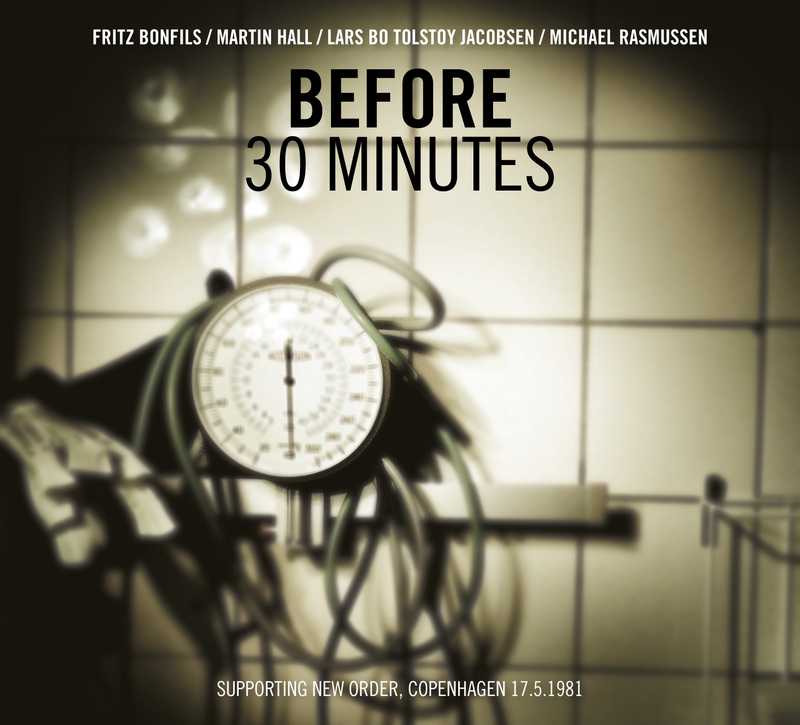 Before was, without the shadow of a doubt, one of the best live acts on the Danish post-punk scene, something the live recording from May 1981 makes abundantly clear. Although the concert recordings have been remastered, the main sound on the album is still quite rough. All live-tracks are recorded directly via the sound mixer at the event which means that the recordings are as good as the possibilities of the period allowed. Apart from the concert the new record also contains four likewise never before released studio demos recorded a month earlier – tracks such as ”Surrender” and ”Wasteful Hours” (both songs unmistakably co-written by Hall). The album also contains so far unpublicized live photos from the concert event. The title of the coming live album will be 30 Minutes. You can order the cd by sending an e-mail to info@martinhall.dk – or via Paypal on the account info@martinhall.dk. The price for the cd is 20 euro (this amount includes shipment and postage). The compilation comes in a deluxe, silver foil blocked jewel box with magnifying glass. You can read more and/or order the album here: Second Language shop. 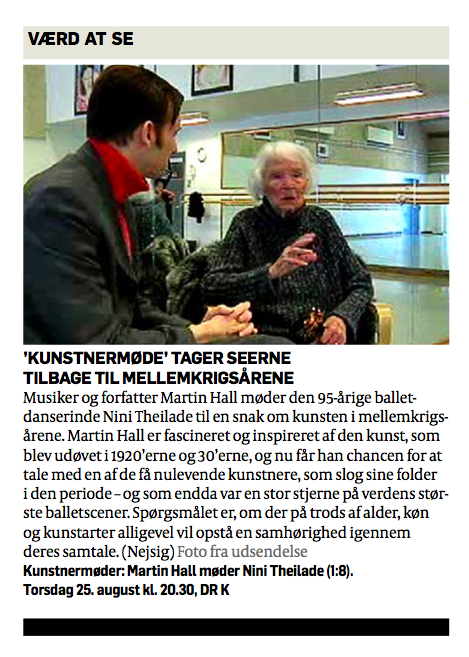 In DRK’s new season of their series Kunstnermøder (“Artist Meetings”) the Danish television channel has asked Martin Hall which artist from his native country he would like to meet. He chose the currently 95 years old former ballet star Nini Theilade. In the 1930’s Theilade enjoyed world star status on the international ballet scene. Among other career highlights she performed in Max Reinhardt’s Hollywood production of A Midsummer Night’s Dream from 1935. Via the following link you can see the young dancer in a sequence choreographed by Bronislava Nijinska: A Midsummer Night’s Dream (1935). The programme will be sent during the spring (further notice will follow) after which you will be able to see the (not subtitled) show on DRK’s website Kunstnermøder. 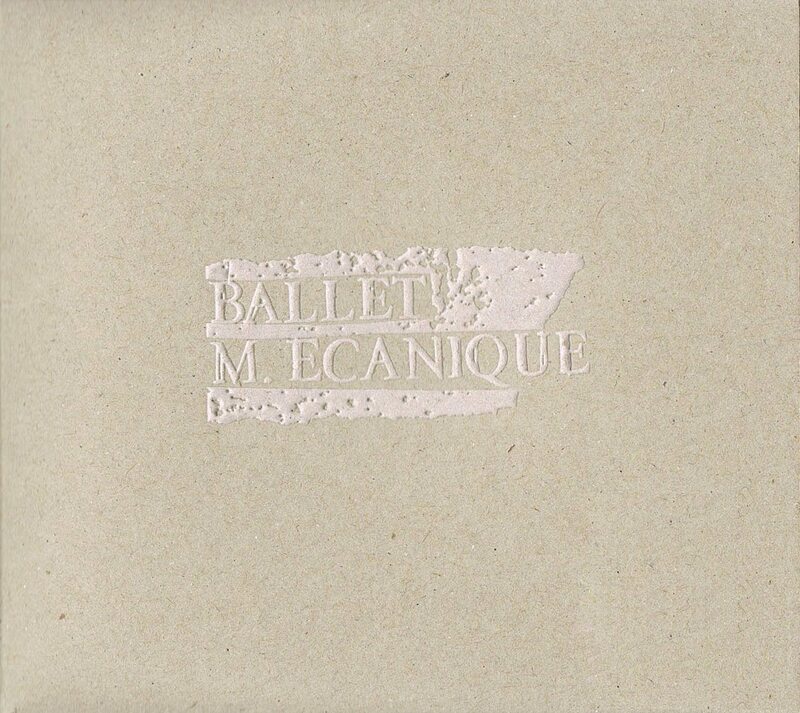 First it took Sony/BMG 25 years to get the Ballet Mécanique lp The Icecold Waters of the Egocentric Calculation released on cd. Then it took 5 years for the company to make the album available as download. Now, finally, the title is available on iTunes – with the wrong cover and labelled as ”jazz”. But at least the music is available. The album figures on the list over the 50 most important albums in Danish rock history in the Danish encyclopedia Politiken. 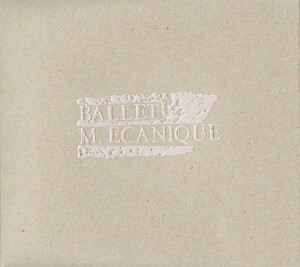 Originally the record was released in 1981, and Ballet Mécanique’s second album For came in 1982, shortly before the band split. Unfortunately Sony/BMG has ”displaced” the master tapes to both this album and the group’s debute single Avenues of Oblivion from 1980, so don’t expect any re-release of this material. NEWS UPDATE 23.2.2011: Today Sony-BMG has corrected their data in relation to The Icecold Waters… which means that the record is now labeled as “rock”. The download album has also been given its correct cover as icon. The Pesteg Dred record is available in both the American vinyl edition as well as in a European cd- and download version (featuring additional three SS-Say tracks). Hear extracts from the lp here: Soundcloud. Buy the cd here: Shop. Buy as download here: iTunes. Read new extensive interview with Hall about the album here. Visit the American publishers: Dark Entries. 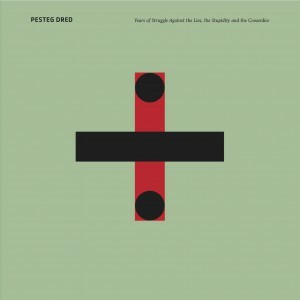 The Pesteg Dred record is available in both the American vinyl edition as well as in a European cd- and download version. Read the full review here: Pesteg Dred/The Wire (323/2011). Other reviews: Boomkat, Igloo Magazine and Aquarius. Hear extracts of all tracks here: Pesteg Dred/Soundcloud.